I am lucky. I have a son who thinks the world of me. I have family that supports me and will always be there for me. I have friends who are real and accept me, flaws and all. I have a work that allows me to support my son and lets me buy some of the things that I just want but do not need. I am healthy, a tad bit too healthy but I'm good with it. I am lucky. However, I am not lucky in love. Love is the one thing that remains ever elusive to me. It is the one area of my life that I just can't seem to grasp fully. Love just befuddles me. 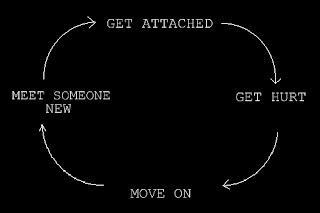 Cycle is I meet someone, that someone goes to great lengths for me. He makes me happy, he makes me laugh, he exerts EFFORT, and makes me feel like I'm the only girl in the world. This remains constant until I start to fall too. When I do, then the guys just disappears. Weird right? Weird and painful. 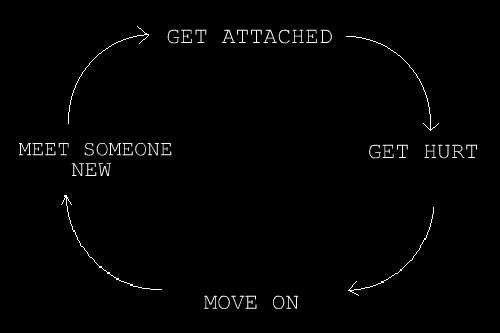 Unfortunately, this is the cycle. It's tiring. Seriously, its tiring. Sometimes, I wish my heart would just stop falling. Maybe, if it stops falling, it would stop breaking. If it stops breaking, then I wouldn't have posts like this to write about. 1. You are lucky for expressing yourself genuinely to the opposites. 2. 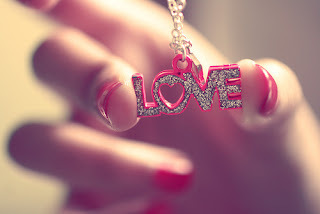 You are lucky for having a heart so full of love and not hate because despite few unsuccessful attempts you are still full of love to share to the next one around. 3. You are lucky because God has been full of heart's exercises on you of which you're a gem like gold carefully refined to prepare you to His timely gift- A man of your dream and desire, a man deserving of your love and deserving of God's gift which is you. 4. You aren't even at a loss because your love is still and steadfast, it's their (your exes) loss because they let a gem escape their hands because they didn't put extra care to it. So, just wait with a loving longing. Definitely, in God's perfect time, the real man you deserve will be with you as long as you live and even eternity. Pwedeng pwede na Jay d'Manga ... haha ... thank you ... made me feel a lot better. Oo nga pala, tune in to DWJRR...hahaha..for love quotes and love messages..lol..hahaha...kidding.